FREE delivery to United Kingdom in 9 - 16 working days. Our HERO light is a chandelier made from 3mm steel finished in STONE powder coat, with solid knurled metal and matte rubber detailing and available in STEEL, BRASS or SMOKED BRONZE. 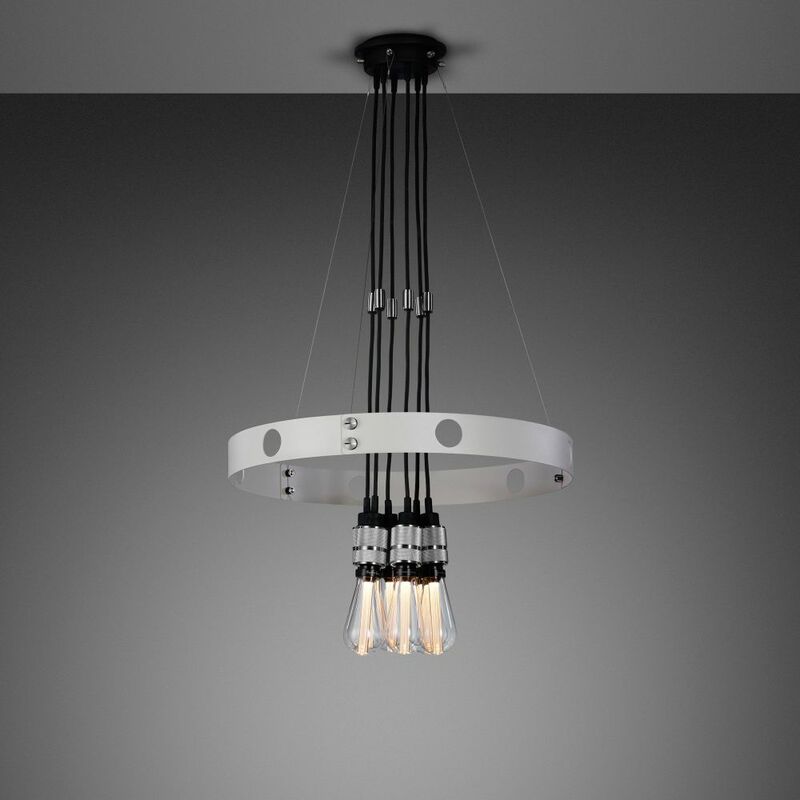 The light pendants can be set in the ring or left to hang through the centre. Buster + Punch are a London-born interior fashion design label. We work with rare, solid materials to make extraordinary items for everyday use.